Bad Behavior Brings Big Reward? Busy day at Merts Center tomorrow. In the afternoon, there is a rally asking for Wardynski’s resignation, and in the evening, the announcement that the Board has decided to offer him an evergreen, auto-renewing contract. I’m not even going to pretend we don’t know what the Board will do: this stinks of a done deal, way done and over done, rotten and putrid, and the soliciting of citizen input through email a huge waste of the writers’ time. Trash it! Delete it! The Board is way too busy to read mail! For heaven’s sake, isn’t it bad enough every 2 weeks to have to sit around listening to constituents’ whining? You don’t really think we are going to be distracted by all these boring emails, do you?. Write Santa Claus instead, folks! Delete, trash, delete. And I never thought that the BOE would demand Wardynski’s resignation tomorrow, either.But surely when you know that a change.org petition asking the Board to request his resignation has been steadily attracting signatures over the last few months, switching to an auto-renew contract for no good reason is simply a way to send a loud message to anyone who dares hope for answers from the Colonel that they aren’t coming. And tomorrow night, when they go ahead and declare it done, knowing fully well that hours before there was a second rally in two weeks to express distrust in the man, it will send another message: we have the power and you don’t. Oh, but what about the title of the post? What bad behavior do you claim is being rewarded? Got a few hours? Read my old posts? Read redeyesfrontpage.blogspot.com and geekpalaver.com. Or for the bad behavior of Wardynski in the past few months alone, read the change.org petition. And then skip over to the contract the Board is voting on tomorrow night (yea, I know — just a little theatre there), and carry on to page 7, point 11. And for simplicity, we can jump to reason 5 to terminate the supe’s contract. Notice first the phrases “not an isolated incident” and “a case in point.” These suggest strongly to me that what we have here are but two examples of dishonesty, if by honest you mean to tell “the truth, the whole truth and nothing but the truth.” I think that’s what the judge expected, don’t you? I think when Wardynski chose “not to share” or gave “incomplete answers” he was not telling the whole truth. And a “shifting story” sounds to me much like one that has lots of not quite true bits to it. And when I read “not accurate” I think untrue and lies and dishonesty. The Board apparently does not share my views. Then again, if you read the judge’s findings, they engaged in the same deceit. Ever heard of “enablers”? That’s the Huntsville Board of Education. Oh, and then there is still the mystery of the NSA call that tipped the supe’s spies to the foreign connection and ultra tacky dagger, all that nonsense. It’s been about a month — more? — and still we do not know who is lying. Perhaps Wardynski’s cabal didn’t mean National Security Agency but No Such Agency. Easy mistake to make. 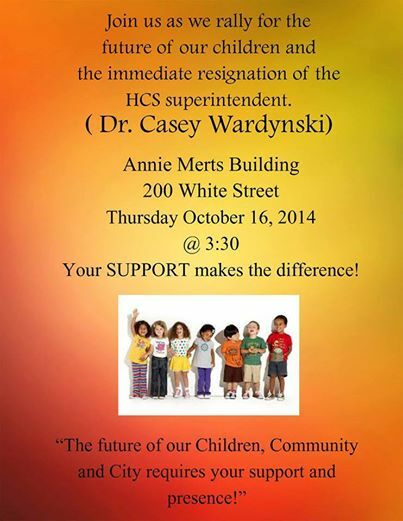 So: looks to me like we have had some behavior that should lead to terminating the supe’s contract. Instead, it’s now set to auto-renew. It’s a little like those advertising come-ons of get one month’s service free! but we still need your credit card info because if you don’t cancel the contract at exactly 11:11 on February 29 it will renew ’til the next February 29 and then the next and the next. The more people outside Merts tomorrow, the more arrogant the Board will look when it raises Wardynski up high in the evening. This entry was posted in Education and tagged Board of Education, change.org, desegregation, Geek Palaver, HCS, Huntsville City Schools, NSA, redeyesfrontpage.blogspot.com, social media surveillance, Superintendent Casey Wardynski, Wardynski. by Laurie Frost. Bookmark the permalink.